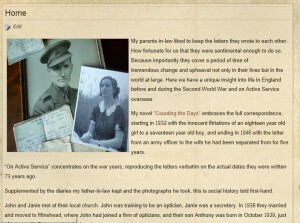 These are the letters of John and Janie Askew, reproduced 73 years ago to the day they were written. Supplemented by the diaries John Askew kept and the photographs he took, this website offers us a unique insight into life in England and On Active Service overseas during the Second World War. Wonderful that you ‘ve published these letters. Did you know we are setting up a Minehead Museum this month at the Beach Hotel. Any chance you could let us have a copy of any of these letters for display? along with a photo if possible. We want to showcase Minehead folk during the war.